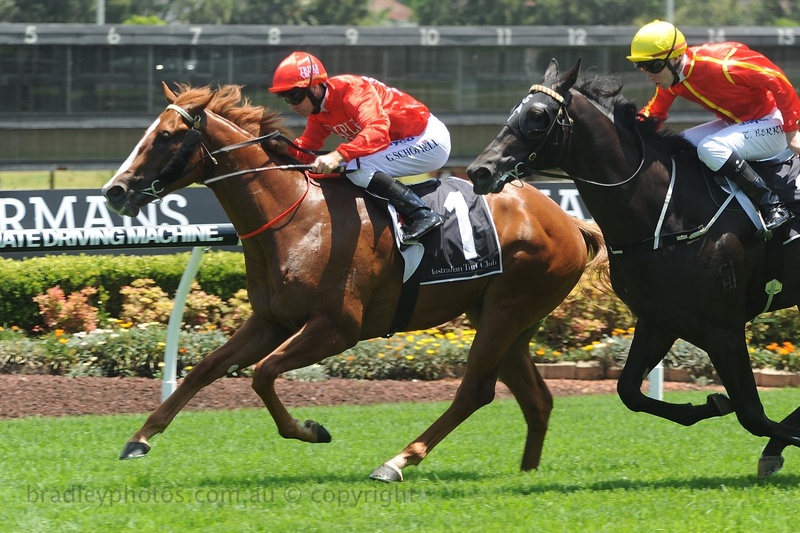 DOTHRAKI spearheads Triple Crown’s Gold Coast charge on Saturday with the six-year-old entering the market as the early $5 joint-favourite for the 1200m Magic Millions Sprint (race 9) after drawing barrier 10 for the million dollar race. The son of Mossman has acquitted himself well in Group 2 company this season, finishing a close fourth in the Bowermans Office Furniture Shorts over 1100m at Randwick, before creditable runs in the Schillaci Stakes at Caulfield and the Tab.com.au Stakes at Flemington. However, it’s over the 1200m trip in the sunshine of the Gold Coast where Dothraki has excelled, boasting a perfect record of two from two having collected the Group 3 Gold Coast Guineas in May 2014 and the Group 3 Tattersall’s 150th Anniversary Stakes on his last start at the Queensland track in June 2015. Dothraki has been somewhat of a star performer after his $45,000 purchase at the Magic Millions National Yearling sale in June 2012, with the gelding having now earned over $1,000,000 in prizemoney, and the race has added spice for Magic Millions director Gerry Harvey, who owns a share in the six-time winner. Co-trainer Peter Snowden reports the consistent performer to be on top of his game ahead of the million dollar clash following his arrival on the Gold Coast. He said: “He arrived well on Wednesday morning and coped with it all well. The Ciaron Maher-trained Charlie Boy will join Dothraki in the Magic Millions Sprint. The six-year-old claimed the Group 3 Liverpool City Cup in February last year and has won over $800,000 since his $80,000 purchase. He will jump from barrier 11. Dual Sydney metropolitan winner Denpurr goes to the Fillies and Mares event (race 5) in flying form, with co-trainer Peter Snowden saying she is in the best condition he’s ever had her. Allotted barrier 13, Denpurr arrives on the Gold Coast after a fast-finishing display at Canterbury Park where she was beaten just three and a half lengths against the boys. Secret Trail (race 3) is Triple Crown’s final runner on the Gold Coast to race for $1,000,000, with the four-year-old mare set to run in the Magic Million QTIS Open.